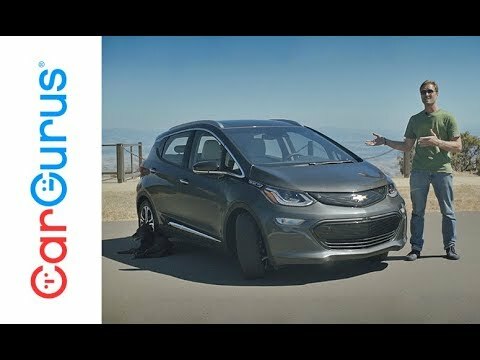 The 2018 Bolt EV features a big 60-kWh battery pack the runs the length of its floor, allowing the Bolt an impressive 238-mile range on a single charge. Seeing as most people only commute between 30 and 50 miles a day, the Bolt could easily replace a gasoline-powered car in all but long-distance driving. My car's primary maintenance is software downloads. It is an all-electric car. I never have to purchase gasoline. I never have to get oil changes or have the transmission checked so it's very low maintenance. It is very spacious. Easily fits five adults. It is quick and fun to drive. The only problem and it is not a big problem anymore, charging the battery. As more places continue to install charging stations, it is becoming less of a factor. Love my car and will never buy a gas vehicle ever again. that it is electric and that I care about the environment.